So far I’m loving the combination. I have 3 sets completed. I’m probably not going to be getting anymore done until the next step. But it is what it is! 🙂 Enjoying the process. Hey Bonnie, if you click on the Allietare picture/logo it takes you directly back to your page. I’ll go ahead and add the link though to make it easier. 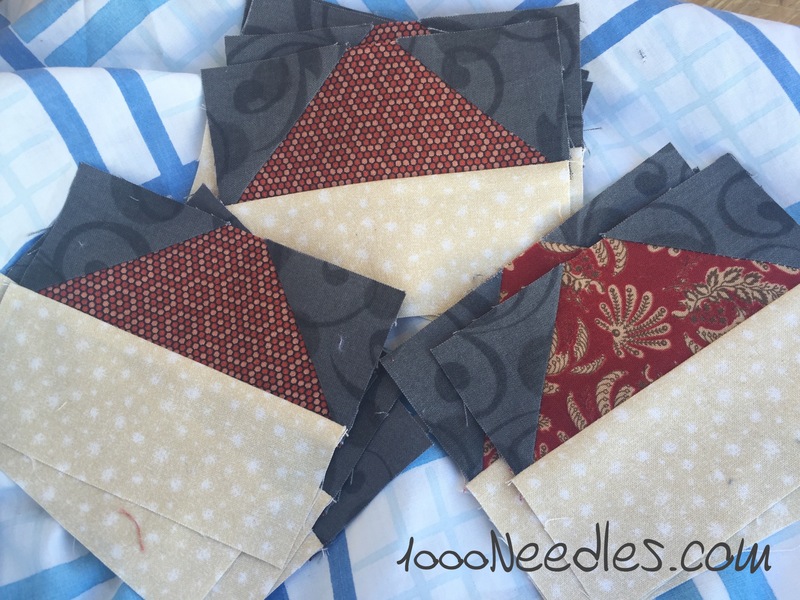 Pretty units ..Everyone has their own pace of sewing…and amount of time to sew too. Looks good so far! It’s good to get a few done, even if you haven’t got time to make the whole lot. Then at least you can assemble a block when the final clue comes out. I’m glad to see I’m not the only one who didn’t finish the clue this week. I might get lucky and get a few sewn before the next clue comes out, but at least all my pieces are cut out! Your units are looking good so far! Thanks Jackie! I knew when I started that I wouldn’t have time to do everything so I’m trying to just get a few done each week.